Private healthcare firms are facing mounting criticism over allegations they receive unfair tax breaks in comparison with Britain’s public health service for the provision of cancer treatments in patients’ homes. Increasingly, National Health Service (NHS) Trusts are striving to treat such patients in their own homes rather than forcing them to journey to hospitals. These services are often offered by private firms who work on a contract basis for the health trusts. 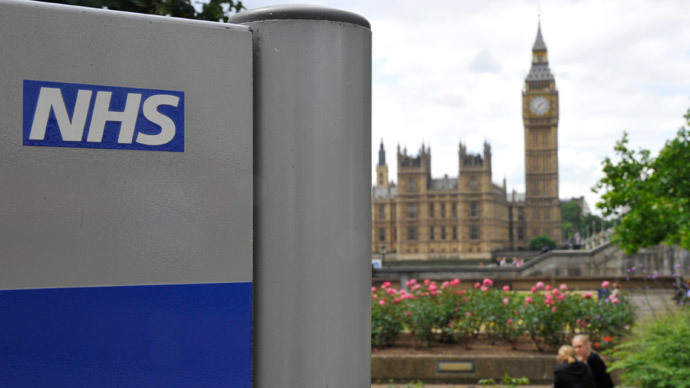 The UK government maintains private companies can offer them at a cheaper rate than the NHS. But competition in this sector is skewered with heavy tax incentives for private firms that the NHS is not entitled to. This trend, uncovered in an Independent report on Thursday, has sparked concern among critics who warn against the further privatization of the NHS. Michael Gold, a London-based Green Party election candidate who campaigns against the sell-off of NHS services, brought the policy bias to the paper’s attention. Speaking to the Independent on Thursday, he warned the policy showed little consideration for the health service. “What we are seeing here is that VAT is used as support for private companies without any consideration of what it is doing to the NHS,” he said. While these private companies can retrieve 20 percent VAT they rack up on purchasing drugs, the NHS is afforded no such tax relief. As a result, the services these firms provide appear far cheaper when bidding for contracts than those the NHS can offer. Observers suggest this policy reveals a bias towards privatizing considerable chunks of Britain’s public health service. The sell-off of public services was previously criticized by US linguist and veteran activist Noam Chomsky. The government’s nil VAT policy is often ignored in public debate concerning the privatization of NHS services. However, the competitive advantage it can offer private firms bidding for these contracts is considerable. A document previously published on private healthcare specialist Bupa’s website illustrates this trend. The document in question, titled ‘Economic Attractiveness: home chemotherapy’, suggested Bupa saves a sum of £244 per infusion of Herceptin as a direct result of its nil-VAT rating. It went on to say yearly savings of £187,000 can be made for a collective of 50 patients. It has reportedly been recently removed from Bupa’s website. A leading accountant told the Independent the nil VAT policy was created to draw competing private firms into the market, offering the NHS a greater choice of services at lower costs. However, Unison’s Head of Health, Christina McAnea, sharply contradicted this argument. “Healthcare companies should not be able to undercut the NHS by claiming back VAT that the public sector is unable to,” she told the Independent. Private firms are winning many more NHS contracts than government ministers admit, recent figures show. Statistics released in April directly challenged the previous Liberal Democrat-Conservative coalition’s claim that six percent of the health service’s funds are allocated to private firms. Contracts scrutinized by the NHS Support Federation showed that private companies won 36.8 percent of all such deals in 2014. RT asked HM Revenue & Customs (HMRC) on Friday whether it concedes the tax relief afforded to private firms indicates a pro-privatization bias. The tax authority failed to specify. However, an HMRC spokesperson confirmed that NHS pharmacies lack the capacity to recover VAT on drugs they give to patients on prescription. He said the NHS is funded for these costs from its pool of general funding. “The dispensing of drugs on prescription by a pharmacist has been zero-rated since VAT was first introduced in the UK on 1 April 1973 and as such, the pharmacy can recover VAT on the drugs it buys,” he said.